The kids enjoying their lesson at The Hook. I am thrilled whenever a child of mine dons specialized clothing and has a great experience sliding over some form of water in the Soggy Northwest. 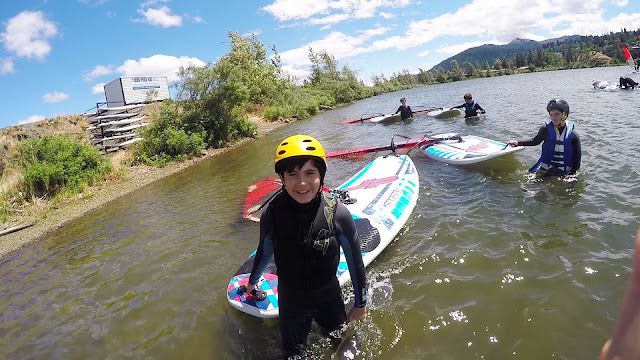 This happened when the young ones took windsurfing lessons in the Columbia Gorge. Technical note for academics and serious amateurs: I used a Go Pro camera on a selfie stick to get an over-the-shoulder angle here. An excellent camera. A beautiful day and a great time.